The story ends with a wisp of breeze that, though barely perceptible, changed everything. Here’s how it starts: it’s March in generally glacial Germany, but Zeus, that mercurial deity that apparently controls our Old World weather, is in an uncharacteristically jolly mood. The sun, cagey as a feral cat, peaks over the treetops. I’m catching its first few rays out in the yard. It’s 15 degrees centigrade (that’s 59 Fahrenheit for the non-metric minded) and windless, just at the low end of comfortable. Spring fever creeps up on me as I nurse a glass of ambrosial wine, celebrating the opening of this year’s BBQ season to the strains of Eric Clapton channeling Ray Charles on Reptile. Just two weeks ago I was shoveling snow. Ah, the simple joys of the working stiff. Then bliss turns to blues. A cloudlet blots out the sun; a gentle wind stirs. In seconds, spring becomes autumn. My luminous day is now cold and grey. An army of goosebumps, raised at the back of my neck, marches off to war down my spine. I detect a note of vinegar in my vino. The party’s over; time for Slowhand to slouch back into the house. The moral of my woeful tale is this: a small change in state – a little cloud, a slight draft – can make a big difference. While contemplating the gods’ – weather and otherwise – utter lack of interest in the working man’s wellbeing, it dawned on me that this ripple effect also applies to power tubes. The disparity between the various types seems negligible, but it will make waves given the right conditions. 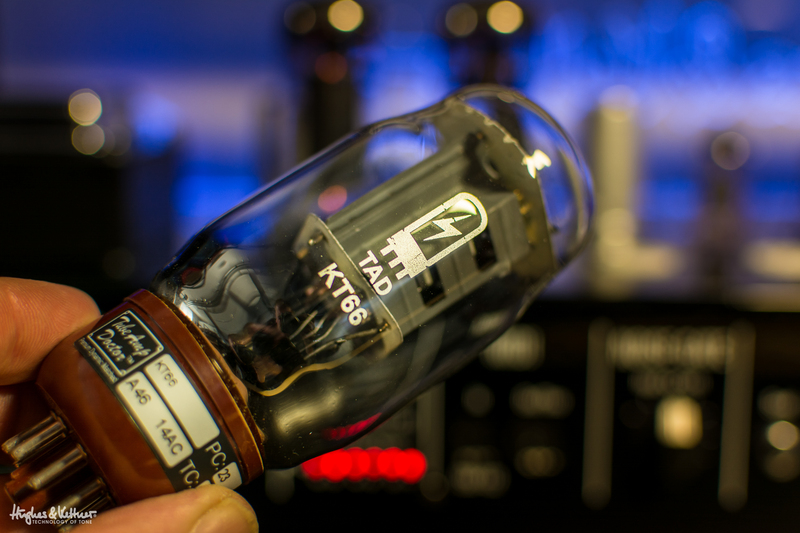 I’ve test-driven 6L6, EL34, KT88 and 6550 type tubes over the years only to find the distinctions to be disappointingly discreet. One set may sound a little spongier, another tighter; others glassy, opaque or airy. A little adjustment in playing technique and choice of guitar and speaker, and I could make each type work for me. The variances simply weren’t all that strong – at first audition, that is. But in tone, as in life, context is everything. The change in power tube types was surprisingly prominent, if not spectacular, when all the ingredients of music came together; when the drums and bass locked into a groove, the vocalist chimed in and an acoustic guitar staked its claim to a large swathe of the band’s sonic territory. Who knows what tricks the air plays on our minds as it moves back and forth? All I know is that the whole is other than the sum of its sonic parts. Some call it psychoacoustics; others gestaltism. But when the whole is greater than all those parts, I call it voodoo, ‘cos that’s what gets my mojo working. All this was reason enough for me to get serious about A/Bing power tube types in the only setting where such distinctions matter – against a backdrop of honestly made music. Of course, the circuitry interacts in different ways with different tubes, and that also shapes the tone, so you could accuse me of oversimplifying things. In the final reckoning, though, all the differences I can detect result from the tube swap, so allow me the license to attribute these to the tubes alone. EL34s, commonly equated with that mids-heavy British tang, sound lean and oh-so mean. Their signal slashes like a lightsaber, with a tightly focused beam. 6L6s, in turn, serve up more svelte, American-flavored sound. Looser and spongier, this sonic pie slaps faces silly with oodles of creamy bass and sweet-as-sin top end. Push 6L6s hard enough, though, and they wail like a gospel diva hitting that high C in a moment of evangelical ecstasy. Very soulful, indeed. Although these are the two most common creatures roaming the vacuum tube jungle, there are other predators out there on the prowl, some more elusive. I first beat the bush to find an exotic beastie that goes by a number, the 6550. You can replace 6L6s with these tubes rather easily because they share the same pin patterns; ditto for the popular KT88, which we’ll get to later. And the similarity doesn’t end there, because the 6550 and 6L6 conjure much the same in the way of midrange and high frequencies. The 6550 delivers a cleaner low end, though. To me, it sounds relatively lean with crisp mids, like a lovechild born of a 6L6 and EL34’s illicit affair. My old-school ears, steeped in the vintage tradition, detect an unfamiliar touch of hi-fi in the harmonic spectrum, but the high end is certainly rich and satisfying. Guitarists who like to cover a lot of sonic territory will love the 6550. It’s powerful, with plenty of headroom, so the response remains dynamic even when it’s pushed particularly hard. A closely related species, the KT66 runs hotter than the 6L6 to ladle on lashings of power. A mainstay of European radios and audio amps back in the day, it summons a warm but tight low end that is not easily muddied. For those who like their rock riffs meaty, big and bouncy, the KT66 pumps ‘em out with plenty of beef. In direct comparison, I’d say their output is a tad lower than that of a standard-issue EL34, but the dip is minimal and the tight, assertive low end more than makes up for any perceived drop-off. If you ever have the opportunity to give them a try, especially in a recording studio, seize it. That’s easily done with my test bed, the TriAmp Mark 3: all my tech had to do was to whip off the top cover and pop in the tubes. All that biasing hassle of yesteryear has been eliminated by the amp’s onboard TSC system. It measures and monitors tubes, autonomously and continuously, during operation to save you time and pesos, making life that much easier for gigging guitarists who love doing the tube-snake boogie. There’s one more breed that merits mention. You probably know it well, the KT88. Also native to a very different habitat, bass amps, it’s impressive not only for its imposing size. This tube also has a lot to offer tonally. 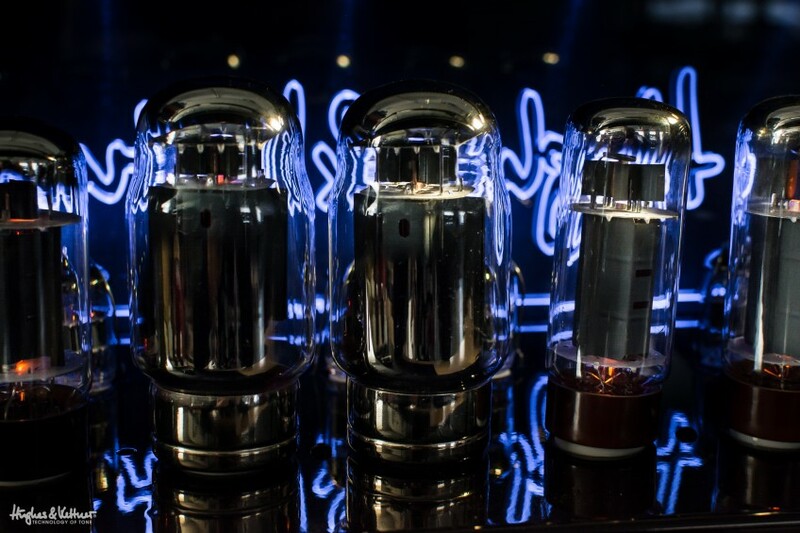 There’s a different flavor of tube for every style of guitarist and musical taste, and tube connoisseurs can be very picky indeed – just like wine freaks, in fact – about which variety gets to grace their favorite amp. For guitarists seeking to take their art beyond the fringe, it offers a more exotic palette than the other three types. There’s something clinical about its cool touch, but all that headroom is sure to floor you. As muscle car enthusiasts are wont to say, nothing beats horsepower except more of it. And like the monstrous fuel inefficiency of said muscle cars, there’s something darkly fascinating about the way this tube wields its awesome power with such reckless abandon. To continue with the motoring analogy, guitarists who load their amps with three pairs of this leviathan – and the TriAmp Mark 3 easily accommodates all six – may wish to invest in a sturdy three-point harness. A half-dozen KT88s will move some serious air on stage, and anything that’s not strapped down is going to end up in the orchestra pit. Forgive me if I’ve dramatized the sonic differences somewhat. I did this not just to spice up the story; my mild exaggeration aims to paint a sharper picture. The differences are subtle indeed, but it’s no embellishment to say that they’re far more conspicuous when interacting with fellow musicians, with your signal embedded in the band’s sound. Weird or wonderful, there it is. It’s like good wine. Each is superb in its own right, but even the most eloquent among us can only put the differences in words when we compare them one on one. And not every great wine goes well with everything we dine. Again, it’s all about context. 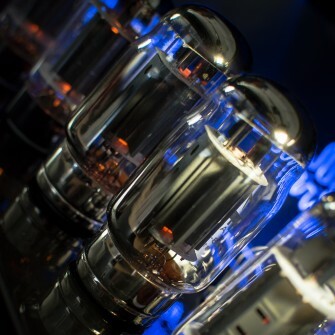 The power tube that is right for you will depend on your music and taste. Check it out. A tube-tasting can be every bit as fun and heady an experience as a wine-tasting. And if you happen to have access to a TriAmp Mark 3, you’re in for an exercise in convenience, and a very rewarding one at that. Have I succeeding in piquing your curiosity? What flavor of tube do you favor? Why that one? Be aware of the dangers, though: as a novice wine taster’s palate grows more sophisticated, so too does the temptation to overindulge. First published: March 27 2015. Most recent update: September 25 2015. I actually love the cleans of the amp so I’m happy with that but the gain especially for leads isn’t smooth /silky enough for my taste. Should I replace all three tubes or should I change one specific tube that would change the flavour of the gain? The V1 perhaps? I live in the UAE and tubes aren’t that easy to find here so I will have to purchase and experiment myself so I can’t go to a tech and try different ones out. Thanks. For the reply! If you could suggest something to makr the gain structure a bit more ‘spongy’ and less fizzy that would be perfect. Cheers! Hmm, we understand. With preamp tubes, you don’t need to worry about matched sets or anything like that, so it’s really down to personal experimentation. You could just change out one, or indeed all of them. About specific recommendations, that’s tough, because of course this also depends on the rest of your rig, what you’re playing, and your ears 😉 Tone is subjective, after all. But based on feedback we’ve had here over recent years, Tung-Sol and JJs preamp tubes get a lot of love… so maybe try starting there! Do a bit of research at somewhere like the Tube Store and see which is going to suit you best. Hi. I have a tubemeister 36 and I really like it. However I’m not fully satisfied with the gain channel. I find it a bit too fizzy and thin especially for leads. 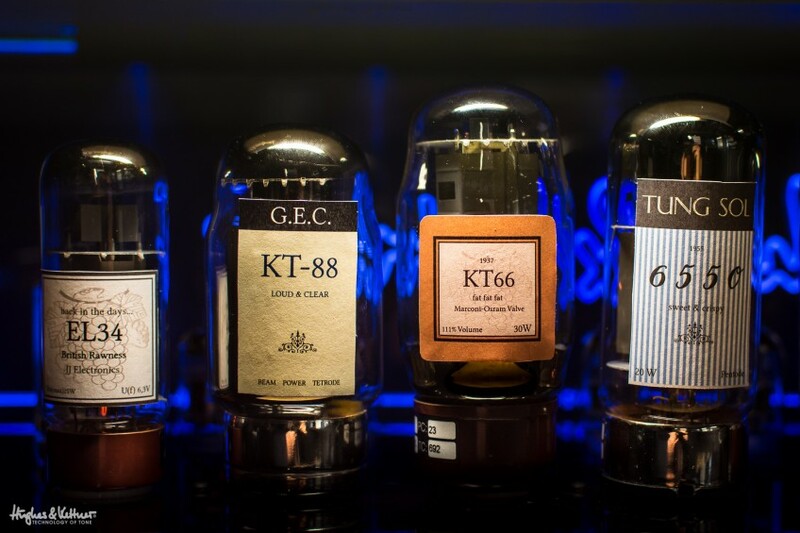 I am thinking of changing all three preamp tubes to get a different flavour. Could you suggest a good replacement to make the amp sound fuller and and less fizzy? Thanks in advance! Try a few out and let us know what you end up choosing! I am ordering one tomorrow and can’t wait!!!!!! The tubes in the Grandmeister 36 are great! Such a clear tone. I have noticed that one of the springs mounting a tube in the head has started to overextend, and the tube is shifting to the side since the opposite spring is still in tact. Any tips on spring replacement? Is the head safe to use? Thanks David, glad you’re liking the tubes in the GM36! Right, so you should take a look at this, but we must also warn you: if the amp’s still under warranty, get a qualified tech to do it, otherwise the warranty goes out the window. If you’re still under warranty, the store where you got the amp will be more than happy to just take a look at this for you. Thanks a lot John, and yes, consider a GrandMeister tubes blog on our wishlist for future posts!